In a word -- VALUE. SSL Certificate and CDN INCLUDED. We want you to succeed online. To prove that, we give you some things that you usually have to pay extra for. An SSL certificate encrypts all of the communications with your website - giving an added layer of security and helping your overall SEO. CDN (Content Delivery Network) provides a way to deliver the files of your site from a server closest to the person looking at your site so it loads faster. Are unlimited edits a real thing? Customizing/modifying your site's PHP code (plugins, theme and/or functionalities). **Not to worry - if it's not included in your unlimited edits, it is covered by your plan's development time. Development time is something that every website will need at some point or another. All of those things that aren't covered in unlimited edits, is covered by your plan's development time. Development time is included in our Basic, Complete and Enterprise plans. Each plan includes a set amount of time allowing you to choose the plan that's right for your website's needs. We partner with WP Engine to provide the #1 managed WordPress hosting environment that includes hardware firewalls and enterprise level security at the server level for EVERY plan. This also means daily backups, force strong passwords, and a FREE SSL Certificate for your site. Sign up for a Basic Plan, Complete Plan or an Enterprise Plan and we'll add the WP Defender plugin and configure it to protect your site even further. If managed hosting is included with all of your plans, what does that mean for my current hosting provider? Great news! It means you can stop paying for substandard website hosting and that your WordPress site will be hosted on a platform built only for WordPress. Yes, of course! We recommend our Complete Plan for e-commerce sites so that you and your customers will have the piece of mind of every security option we offer, unlimited edits and 1 hour of development time per month to use as you need. How do you handle multiple sites? Our care plans only cover one WordPress install at a time. If you have more than one site, you will need more than one subscription plan. How does EnsureWP manage the on-boarding process? Once you sign up for the WP Care Plan you think would best fit your website management needs, we will send you an email with access to our secure on-boarding form. You will use this secure form to provide us with all the access information that we will need in-order to start the migration and management of your site. The information we will be looking for will include, current website host, WordPress login credentials, access to your domain registrar and more. With this information, our process is fairly seamless and in most cases we’ll have your plan fully implemented in 24-48 hours. Further optimization of your site once you have completed the on-boarding process can vary depending on the type of install you have (WordPress Core, WooCommerce, Multisite), the different types of plugins & the theme that you are currently running, however, we make sure to take our time to make sure the process is done right. What if I want to stop using EnsureWP, what happens to my hosting?  If ever you decide to cancel your plan with us, no worries, your WP Engine account can leave with you. We will connect you with a WP Engine support member to help smoothly transfer you to your very own account. This will mean however, that you will now need to manage all of your website's needs yourself or hire another company to do so. All future payments for hosting will be made to WP Engine directly and the transfer process is free. If you choose (for some off the wall reason) to migrate to another hosting provider, we can help with that too. We charge a small packaging fee of $59 for providing all your files. If you would like us to do the migration for you, we charge $129. Either way, we won't leave you hanging! We are located in the great state of Texas! When you work with us, you get that great family-friendly feel with each megabit we move around the web. For those not in the know, that lands us in the central standard time zone. Can you fix my hacked site? Can EnsureWP do one-time edits while I’m on a Essentials Plan? If you need us to provide edits to your website, let us know what the edits are and we can tell you how much time we think it will take. If you are happy with the amount, simply pay for that block amount of time and we will get started. What's with the weekly plugin updates? Why don't you update them right when they come out? Plugin updates are not always awesome. Plugin updates can sometimes come with bugs. This leaves some time for those bugs to be worked out by the plugin developer, which leads to another update to fix a problem your site doesn't have yet because we waited a little bit to update. To take advantage of off-peak hours. Plugin updates are not pushed to your live site until they have been updated and fully tested on a staging copy of your site. We push these changes during off-peak times to reduce the negative impact to your site's visitors. There is always an exception to the rule...for updates that fundamentally change a plugin (like WooCommerce 3.0) it takes longer for us to measure the impact making that update has to your site. We use a staging environment for all plugin updates, which keeps your live site running while we poke around to see if and what breaks with the update and figure out how to fix it. Once we're done we push those changes over to your live site during those off-peak hours.